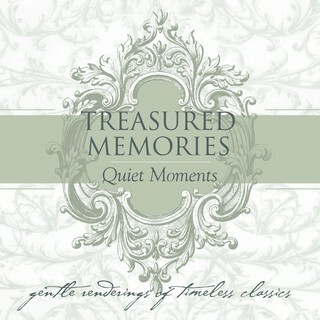 Treasured Memories: Quiet Moments ~ is the first CD of the 'Treasured Memories Music' series. It is a collection of treasured songs of the 30’s & 40’s that I remember as a child, and I hope hold a special meaning to others. In my search to start this CD, it was suggested that I contact the talented David Warrack. 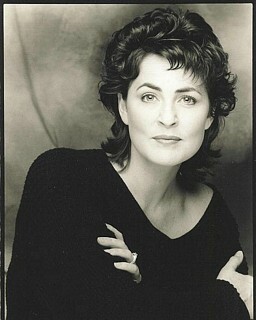 A reknowned Canadian composer, conductor, pianist, & orchestrator. David brought his talents on the piano and love of this special music to this project. We would meet at David's home to work through the list of songs that I had collected as possible choices for this specific CD. There we would be, David on his piano...and I singing my heart out beside him. What fun we had, at times starting a song and then looking at each other and deciding 'not right' and moving on to the next. I will always have the most wonderful memories of this time together. With this first CD, I wanted to create something intimate & gentle, something that would be reminiscent of the days when people would gather around the piano and sing. And so, I decided that this CD would be recorded with just the piano & voice. David suggested doing something a bit different and recording it in an analog format to give it a true feeling of 'a time past'. We recorded this CD at Acrobat Studios with owner/engineer Jim Morgan....a wonderful studio complete with a Boston Steinway 7'3" Grand Piano. There was something so surreal about finally being in the studio, there I was in an intimate sound booth, head phones on and microphone in place....and David Warrack was in another sound booth playing this Steinway Grand piano....my dream became a reality. I will always be grateful to David for sharing his time and talents with me for my very first CD.